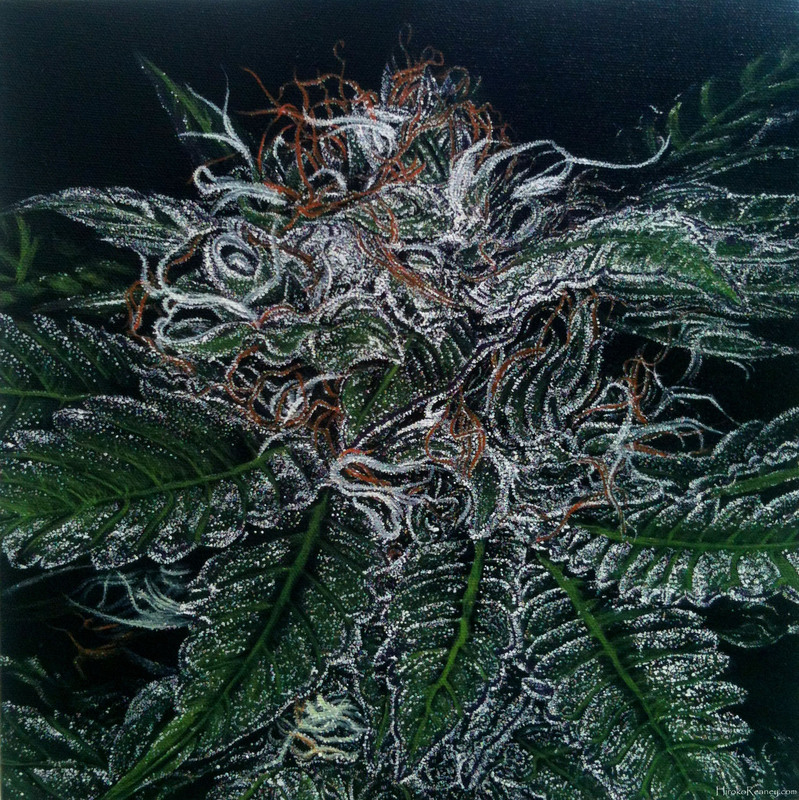 Stonerdays is proud to present marijuana inspired artist Hiroko Reaney. Whats your name, how old are you and where are you from? 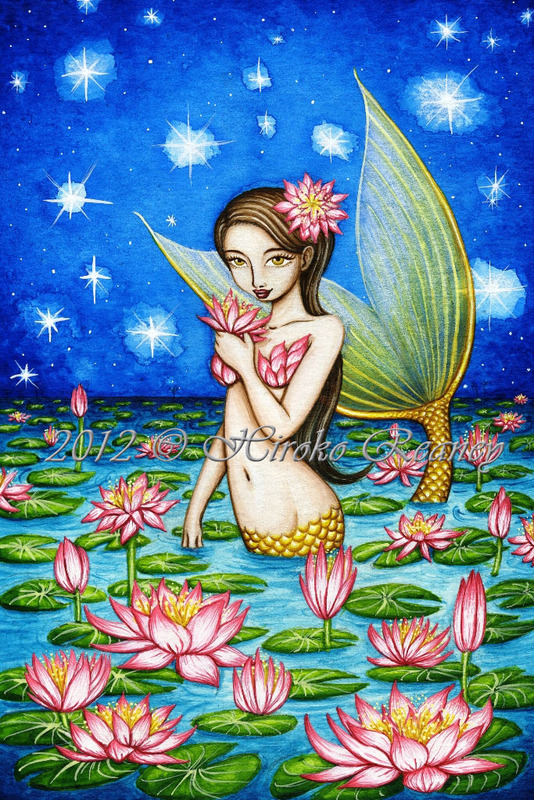 My name is Hiroko Reaney. I’m 35 years old, a wife and mother of 2. I was born in Tokyo, Japan, but grew up in Southern California. Currently, we live in a small town in the Inland Empire. What about art, what’s your favorite subjects to paint? How did you get into art/graphic design? How long have you been Painting? Comics are what got me into art. 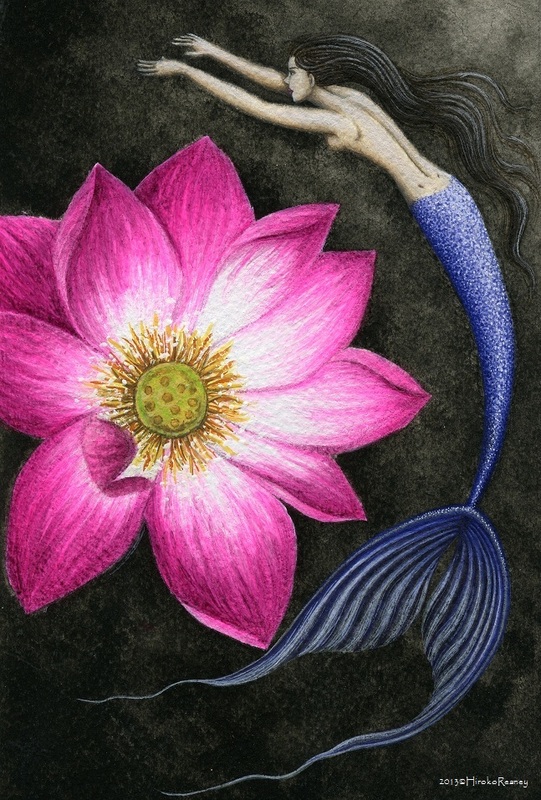 The artwork is so expressive, imaginative, and fun. I’ve been drawing since I was 4, but didn’t start painting until age 20. 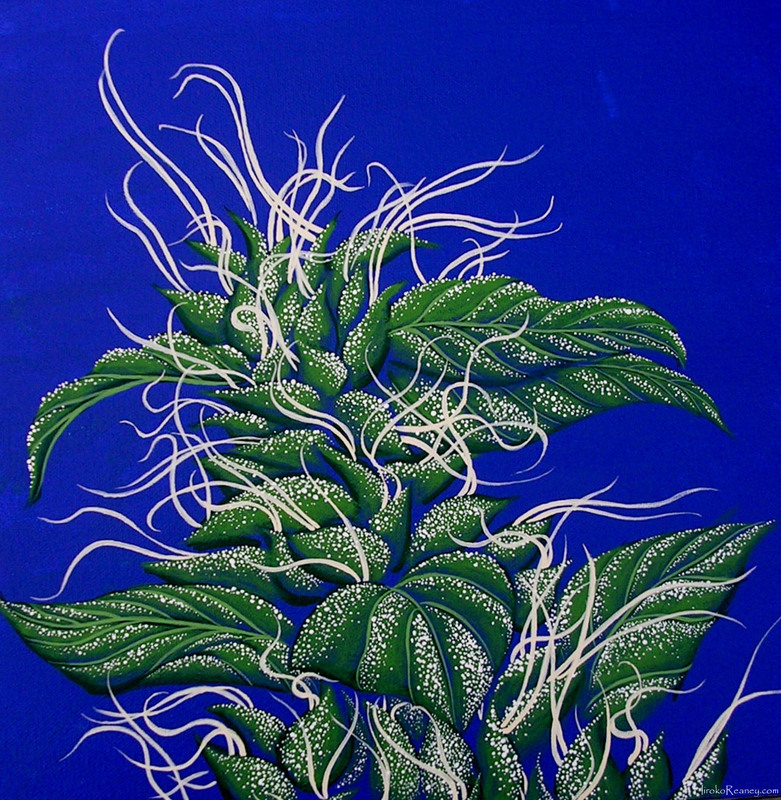 I painted Fantasy art for over 10 years and just recently made this cannabis art and started doing art shows/events. Some pieces take over 200 hours, some take just a day. It’s funny, the ones that took the least time are the most well-received. What’s your favorite way to smoke weed bong, pipe, joints, blunts? If I had a vape, that would be my favorite because it’s safest.. but for now I relax with a bong or pipe, and occasional joint. Bob Marley, Ziggy Marley, Sheryl Crowe, Tina Turner, Cindi Lauper, Rumiko Takahashi (author of Japanese comics).. just great artists who do great things for people. Michelangelo and Eichiro Oda (author of Japanese comic). What kind of music do you listen to while you paint? Depends on what I’m painting. I like alternative, love songs, smooth jazz, pop, r&b, or rock. 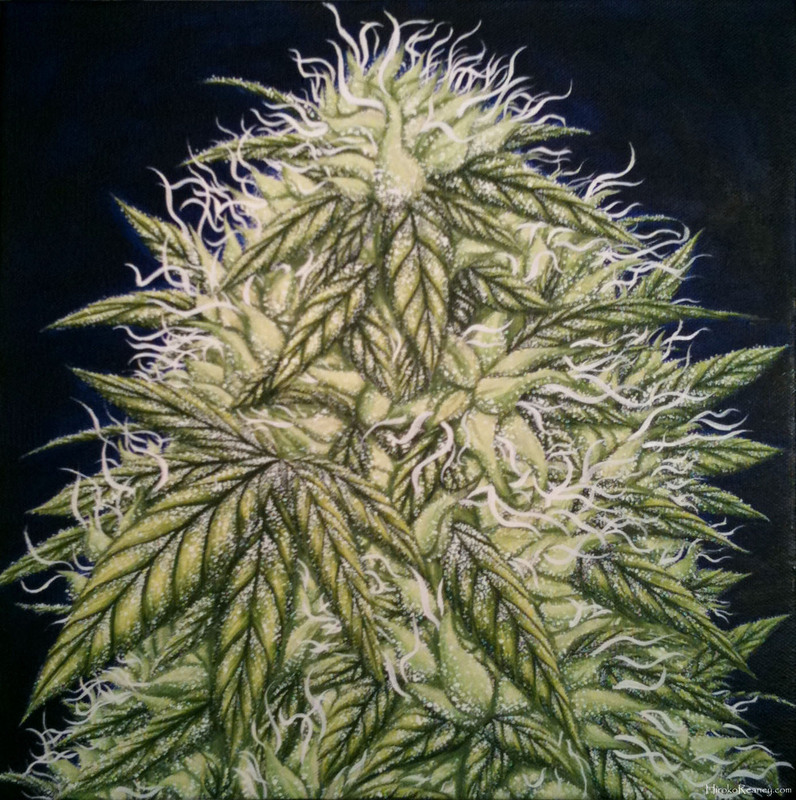 When I’m painting cannabis art, I listen to reggae. We love our fans and want to know what you stoners are up to. Send us your Stoney Submissions to [email protected] for a chance to be featured on the #1 Marijuana site in the world StonerDays! 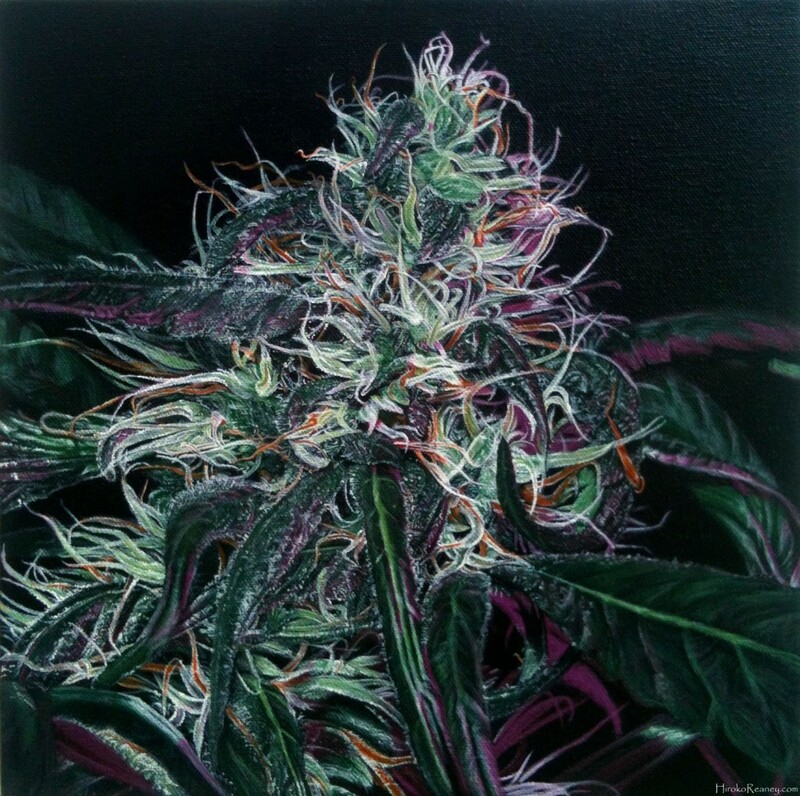 This entry was posted in Marijuana Art and tagged Marijuana Artist, stoner art, Weed Art.